CONGRATULATIONS to the Bixby Metro Chamber and tonight’s winners! As a Premier Sponsor for this evening’s gala, Relay Creative Group is proud to recognize businesses owners in the Bixby Metro who work so diligently every day to add value to families and communities. 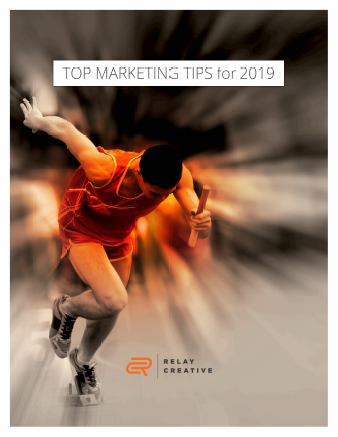 In support of local commerce, we are offering this complimentary whitepaper, Top Marketing Tips for 2019, for you to enjoy and share. To enter a chance to win a dinner for two, please fill out the contact form below, send us a message and include this entry code: TMTWIN! A winner will be announced on January 31st. If we can answer any questions or support your business with marketing services, please submit your information below to connect with us. Call before January 31, 2019 and receive a complimentary 20-minute marketing SWOT analysis. Relay Creative Group is a full-service creative marketing agency located at 4th & Boston in downtown Tulsa. Since 2005, we have been crafting a world of stunning visual communication for local and national brands. Our core competency is in creative branding and design both in print and digital. We offer integrated web, marketing, and video services to complete our holistic marketing approach toward growing your brand.